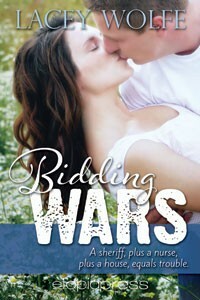 This was a great sweet read.Bidding wars is just that Bidding wars on a house between the sheriff in town and Molly. Molly is a pediatric nurse who is working on making changes in her life after a bitter divorce. She starts by finding a House she feels like Home in and puts a bid in to buy it. Sheriff Luke is seeking custody of his son Sammy from his not to great ex wife. He thinks that buying a house and getting out of his apartment he will have better chances of getting custody of Sammy. So he finds a house not far from his apartment and puts a bid in on it. We soon find out that these two have bid on the same house and this starts a war between them both to out bid the other, but as the bidding war for the house goes on, Molly and Luke start to get to know each other and things become complicated on who will get the house in the end. This was a fun, sweet read, I like how Lacey built it up with the story, it had it all,drama,Love,and some twists and turns.I would of liked an epilogue, but maybe with these being a series we will get some more of Luke and Molly in the next one. 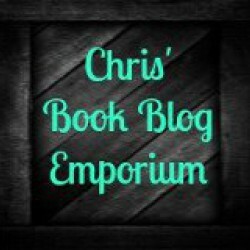 Review for Blog Tour.